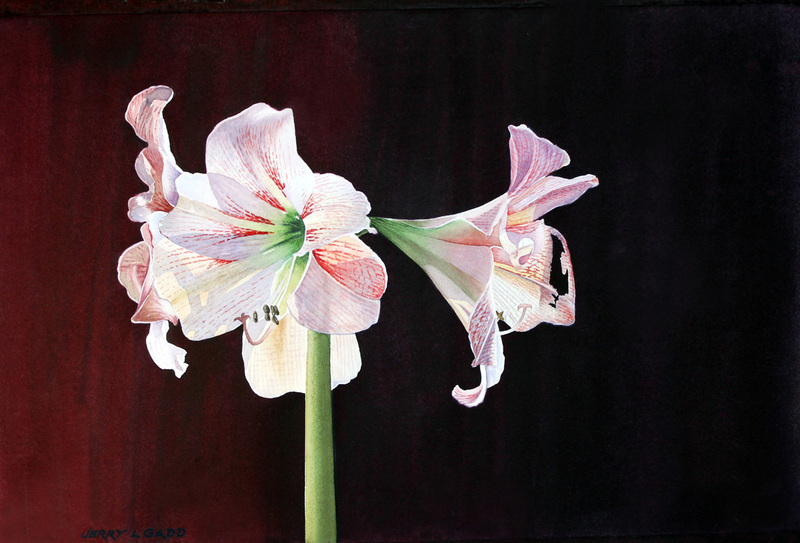 Water Color of Easter Lilies with a dark background. Sold unframed. 5" x 7.25"6" x 8.75"7" x 10.25"8" x 11.75"9" x 13.25"12.25" x 18.25"